The laws regarding home foreclosure notice in Kansas vary dramatically from the laws regarding foreclosure in Missouri. 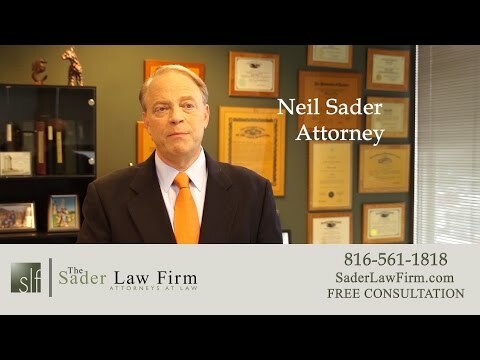 In this video, Kansas City bankruptcy attorney Neil Sader explains the differences between state laws and how Chapter 13 bankruptcy can help save your home, no matter in which state you live. If you are facing foreclosure or considering filing for bankruptcy and wish to speak with a Kansas City bankruptcy lawyer, call us at (816) 281-6349 or fill out our online case review form. If someone receives a notice of foreclosure in Missouri, it’s very different than if they receive a notice of foreclosure in Kansas. In Missouri, if you receive a notice of foreclosure on your house, you basically have about four weeks before that foreclosure sale actually takes place on the courthouse steps, so that if you do nothing, if you ignore the problem, your house will be sold out from under you by the mortgage company on the date that’s listed in that foreclosure notice. In Kansas, it’s very different. In Kansas, the mortgage company is actually required to get a judgment in a district court, in a state court, for foreclosure before they can actually foreclose. So in Kansas, you’ve got a lot more options and a lot more time, but in Missouri, if you receive that notice of foreclosure, you’ve got basically four weeks to either file a Chapter 13 bankruptcy to save your home or maybe pay the past due amount through personal funds or funds you’re able to acquire from others, or you may lose the home. ← Where Do Our Presidential Candidates Stand on Student Loans?